Up today is a Douglas Cutlery 8/8 near wedge in gunmetal. I paid $160 and then had it rescaled as the faux wood scales looked horrible in person (pics looked fine). 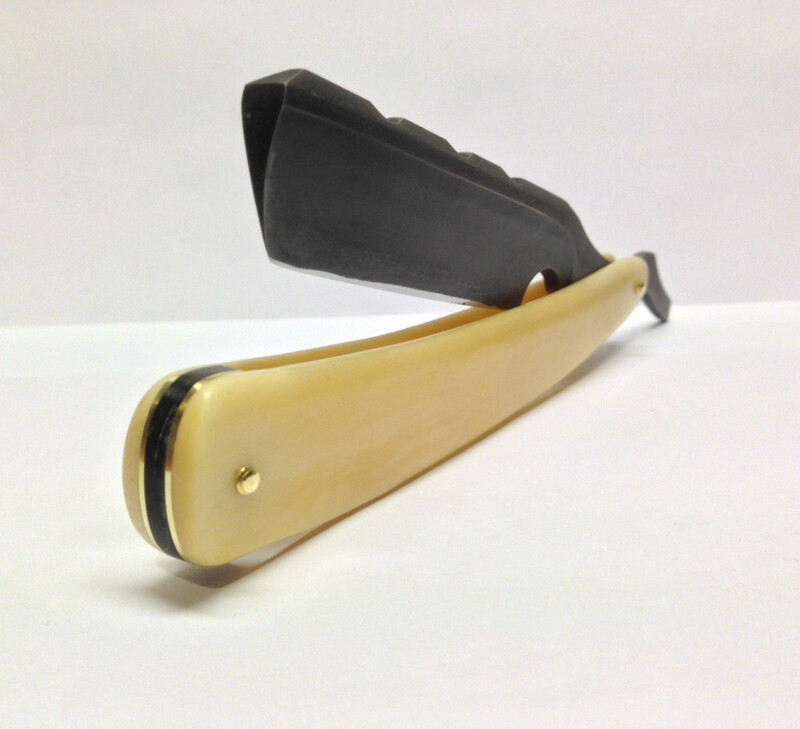 mbrando at the restored razor restored it in polished bone, with a black horn wedge with brass spacers. Comes with original box. This is a heavy razor as you can see. Honed my Mike and remains unused since the restore. $165 $150 shipped via Priority Mail. 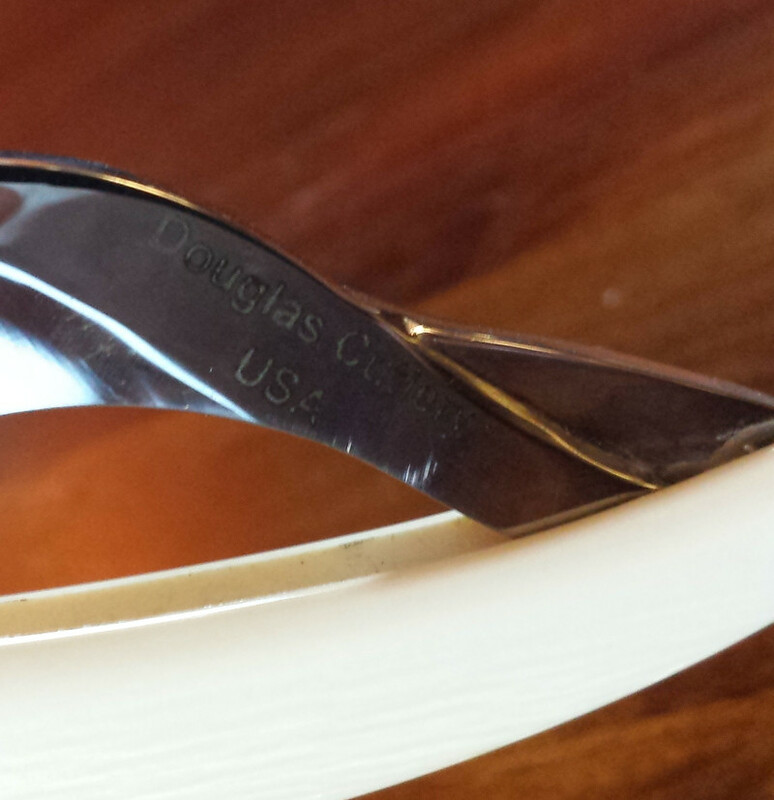 Douglas Cutlery G3-62 rescaled in pre-ban ivory. 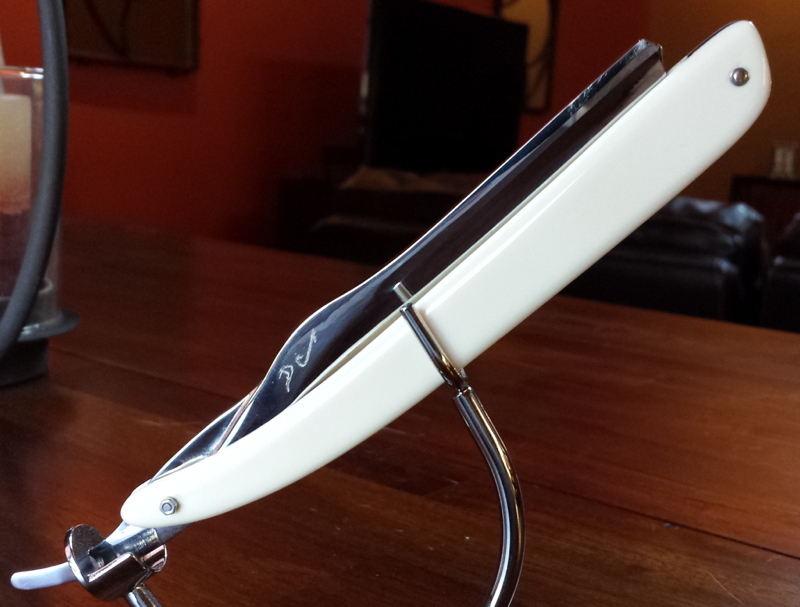 Along with the G3-63 I also picked up this razor from Douglas. I liked the look of the razor, but as with the 63 I did not care for the plastic scales which were included with the blade. Back it went for a rescale in pre-ban ivory. This is a 5/8 quarter hollow with a beautiful shape. After the re-scale our own mbrando reset the bevel and honed and stropped the razor. It has not been used. For me it's always been a display razor since I have 50+ straights at the moment. 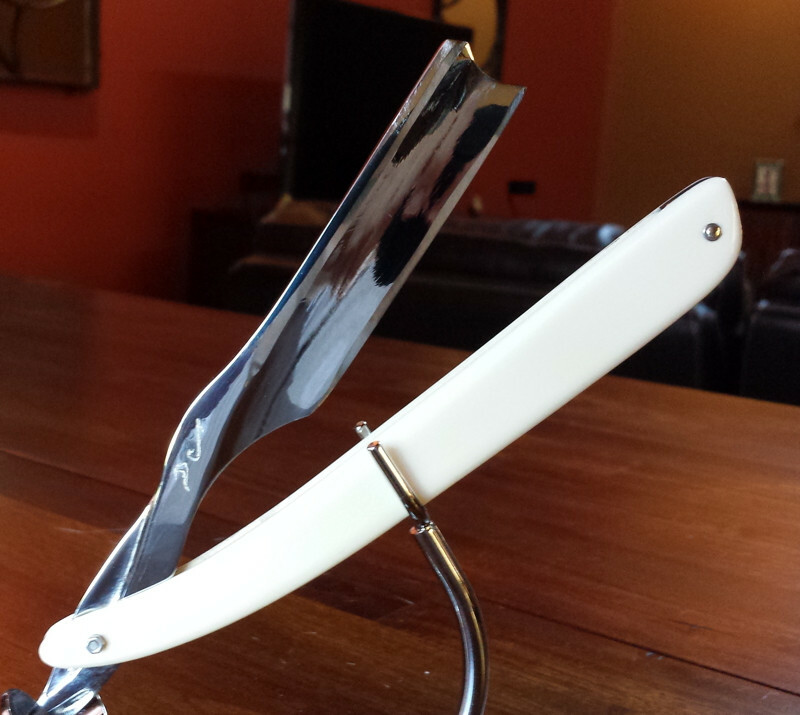 I am trying to cut down to 29 razors (that's what my displays hold), and this one is another looker which has to go. 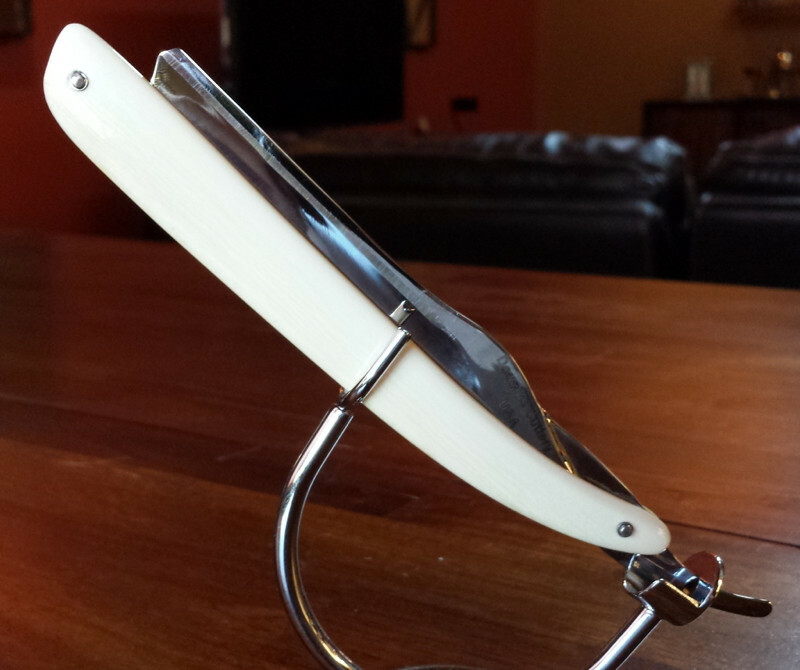 I paid $160 for the original razor and another $150 for the rescale in ivory. Please no discussion of pre-ban ivory in this thread. Any such posts will be reported to the moderators. Beautiful 5/8" razor! What's the wedge made of? And is that a 2.75" cutting edge, or is it 3"? I love the design - am I correct in assuming it is carbon steel? (Pardon my ignorance; I don't know what G3-62 means.) I looked at the DC website; does he forge the blades himself or acquire them elsewhere? Sounds like an excellent bargain. Thanks for posting. 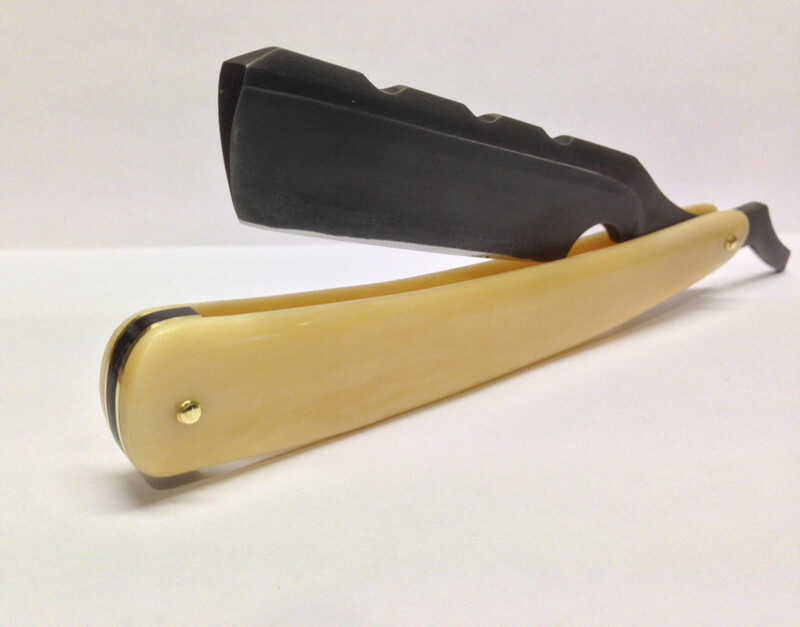 (01-13-2015, 02:18 PM)wjosephsimmons Wrote: Beautiful 5/8" razor! What's the wedge made of? And is that a 2.75" cutting edge, or is it 3"? I love the design - am I correct in assuming it is carbon steel? (Pardon my ignorance; I don't know what G3-62 means.) I looked at the DC website; does he forge the blades himself or acquire them elsewhere? Sounds like an excellent bargain. Thanks for posting. Wedge is black horn, and yes it is a looker. Carbon steel, 3" cutting edge. G3-63 is the model name. G3 (3rd generation (carbon steel)) 62nd one made. Every blade is different, strictly the type of blade. I believe his G4 is damascus. Beautiful straights, Doug! If I wasn't suffering from an extremely severe case of SBAD, I'd be all over that G3! That G3-62 is one beautiful razor, the design is awesome, very tempting.. Painful price reduction. Both razors below what I originally paid NOT COUNTING the price of the rescales.